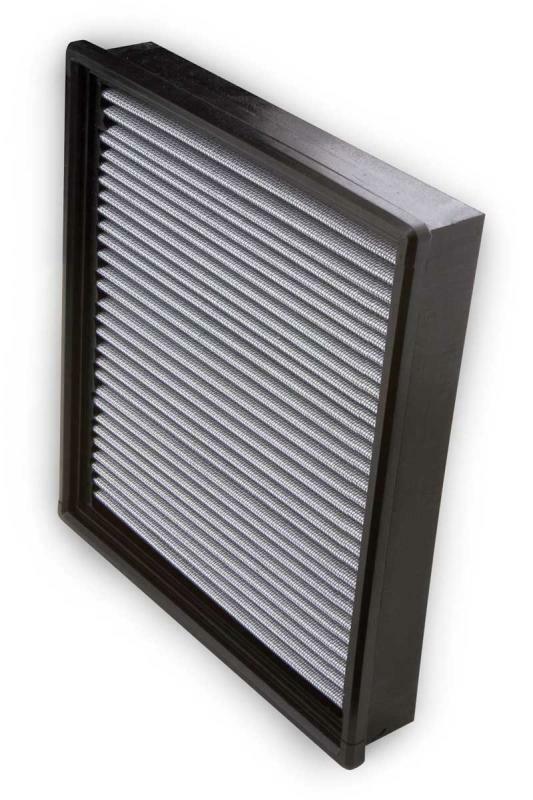 AEM DryFlow Performance Panel Filters offer the same benefits of the DryFlow Conical filters used on all AEM Induction Systems. Excellent Flow Properties, Industry Leading Filter Efficiency and Dust Holding Capacity, Incredible Durability and all this with NO NEED FOR FILTER OIL – That’s DryFlow Filter Technology. Cleaning time is reduced from hours to minutes and the media will not degrade over time or as a result of servicing. The DryFlow media has up to four times the dust holding capacity of most popular competitive filters. An additional benefit of the AEM DryFlow Performance Panel Filter is that there is no chance of any adverse affect on your new vehicle warranty…so, new car dealerships are prime candidates as sales opportunities.